Both the bar and patio (when in season) offer our full dinner menu. El Che Steakhouse & Bar is Executive Chef/Partner John Manion’s homage to Argentina's beloved asados, those traditional backyard barbecues featuring platters of rustic flame-finished grilled beef. This Argentinian-influenced steakhouse, located just beyond the West Loop’s famed “restaurant row,” has built a reputation as Chicago's go-to destination for beef, wine and live-fire cooking. A 12-foot custom-built grill serves as the inspiration for El Che’s menu, which includes South American-tinged meats, seasonal vegetables, seafood and novel barrio-inflected snacks. Its heat — both figuratively and literally — can be felt throughout the restaurant, especially at the Chef’s Counter and Hearth Table located directly in front of it. Chef Manion’s passion for Latin America, where he lived as a child, imbues the deeply flavorful dishes and dramatic setting of the charming 100-seat restaurant. The wonderfully simple, ingredient-focused food is complemented by a wine list that highlights the unique varietals of the region. The vibrant cocktail program and lively bar area have secured a loyal following of their own. 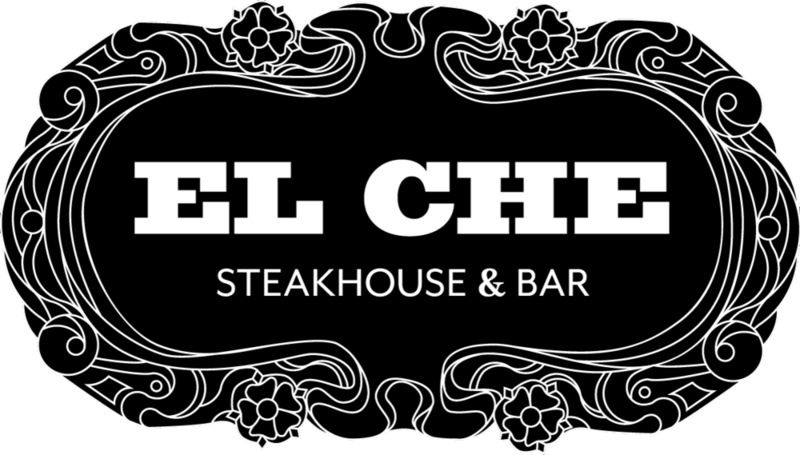 El Che Steakhouse & Bar has earned a coveted three-star rating from the Chicago Tribune and was named in the “Top 50 Chicago Restaurants” by Chicago Tribune’s dining critic, Phil Vettel. We respect your privacy. Your email will only be used to inform you for events and infomation about El Che Bar.